Produktinformationen "Tiki Mug Cannibal King – Black Glaze"
Coming in at a commanding 8” in height and ready for 19 oz. of your favorite libation is our brand new “Cannibal King” mug, designed by Ken Ruzic. With a headdress of skulls and a hungry scowl, this king of the cannibals will add the perfect atmosphere of dark royalty to any tropical shindig. Want to know what’s on the menu if the Cannibal King shows up? Don’t ask! 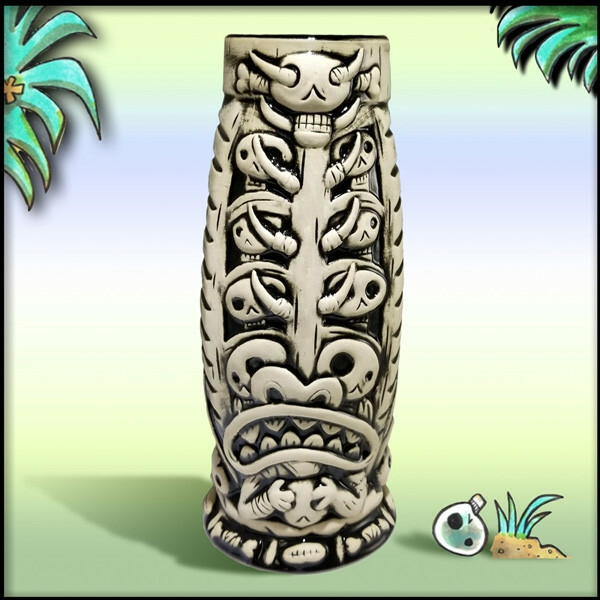 Weiterführende Links zu "Tiki Mug Cannibal King – Black Glaze"
Kundenbewertungen für "Tiki Mug Cannibal King – Black Glaze"